Universal Pictures bought the script from writers Todd R. Jones and Earl Richey Jones (‘Johnson Family Vacation‘). It’s a modern twist on the classic Charles Dickens story. In this version, Scrooge is a wealthy real estate mogul who is visited by the three classic ghosts of Christmas Past, Present and Future, shedding a light on redemption if only he will change his ways. In addition to the ‘Barbershop‘ franchise, Story and Cube have also worked together on ‘Ride Along‘ at Universal that has a sequel ready to hit the big screens in January which co-stars Kevin Hart. 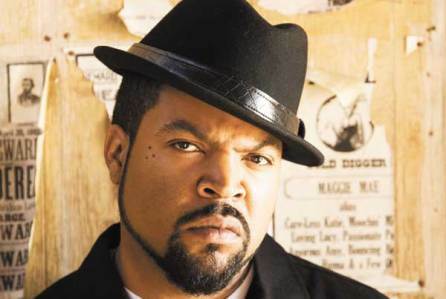 Cube, the Jones bros and Jeff Kwatinetz will co-produce. This entry was posted on Thursday, September 17th, 2015 at 11:00 am	and is filed under Books, Film, News. You can follow any responses to this entry through the RSS 2.0 feed. You can skip to the end and leave a response. Pinging is currently not allowed. « Big Casting News For ‘Roots’ Remake!!! !